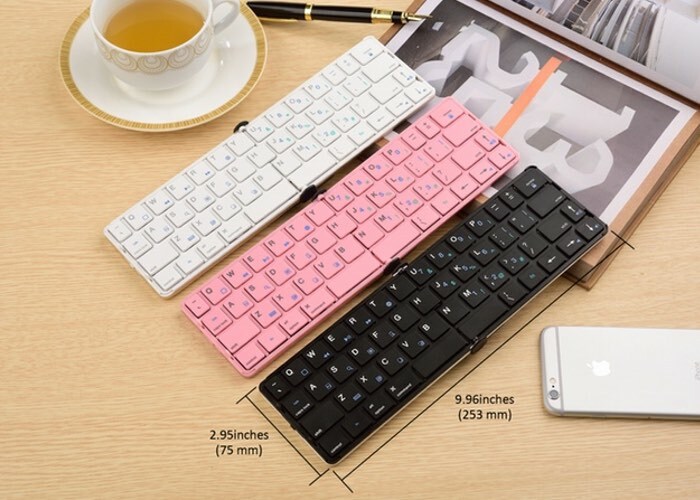 Smartphone users that are looking for a small pocket sized folding keyboard to provide physical keys, as an alternative to the small touchscreen keyboard that can sometimes be a little awkward to use for longer documents and emails. Maybe interested in a new folding keyboard called the Flyshark 2 which builds on the previous device that was also launched via the Kickstarter crowdfunding website, and is now looking to raise $30,000 to make the jump into production. Flyshark 2 is redefining the wireless keyboard with better feedback, lighter weight, 1-year battery life and Bluetooth Smart. Built for iPhone and iPad, it’s also compatible with Android and Windows. Flyshark Keyboard 2 is built on the basis of Flyshark Keyboard and has been improved significantly for a year according to the suggestions from a lot of supporters. It uses up-to-date intelligent Bluetooth chip, which has extra-long stand-by time and very low power consumption, making the connection quicker, safer and smarter. 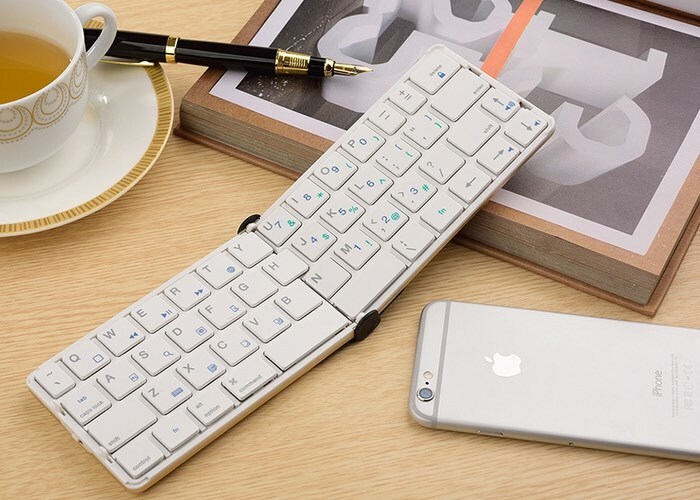 We make a subversive design on the structure of folding keyboard and change its appearance design, making its feelings and inputting efficiency comparable to the keyboard of a laptop and providing efficient productivity and joyful experience. For more information on the new Flyshark 2 jump over to the Kickstarter website for details via the link below.